Updates to Deborah Anne's profile since your last visit are highlighted in yellow. Deborah Anne Outten Fisk has a birthday today. Deborah Anne Outten Fisk has a birthday today. New comment added. Wayne Wade posted a message on Deborah Anne Outten's Profile. New comment added. Thanks for the update on the reunion plans and the warning of potential effects of bad weather. Deborah Anne Outten Fisk posted a message. New comment added. Hey Curtis. Sorry to hear that you are not going to be able to come to the reunion. However, so happy to know that you have a previous commitment, so many of our classmates have health issues preventing them from traveling. Since you were a resident of Metairie for so long, just asking if you ever ran into any of the Romaguera's. They are photographers and their school clients are heavily entrenched in the Catholic Community. 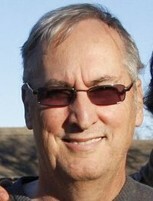 Ralph, Sr. has four grown children, two boys and two girls. Ralph, Jr., Ryan as well as one son-in-law work in the business with him. I know they were hard hit hard by Katrina, but with hard work and determination they are rolling once again. We visit there several times a year because we are all involved in photography and NOLA is just so much fun. Ralph is a member of the Krewe of Carrollton and we try to make that parade as well as St. Patrick's Day parties every year. Those are great times to be in New Orleans, let's face it, any time is great in NOLA. I received a nice note from Glen this morning that I wanted to share with everyone. Looks like he will not be able to make the reunion because "BABY ON THE WAY"
"Just wanted to let you know my wife Alida and I have a new baby coming in February!!! We have at home right now Joshus 13, Selma 11, Christiana 11 and Abel 7. Our two older girls Mary with three and Tessa with 2, are on the west coast building their own families"
Deborah Anne Outten Fisk posted a message. I received this nice email correspondence from Tom today. I wanted to share his thoughts about our upcoming reunion as well as what he has been doing since high school. "I went by Tom Cline through my years at KHS but since then have been known as Tom Stroup. I was active at KHS in drama and the chess club. I was married to Louise Roehn for 13 years, but that didn't work out although we remain friends here locally. I've been married for 26 years to Angela Pane, a nurse, professor, artist, writer, dancer, mother/grandmother, psychic, who has also greatly enriched my life. I retired as a high school and community college English teacher here locally after 37 years. I sponsored groups in theater, chess, debate, forensics, literary magazine, sophomore and junior class, and taught electives such as creative writing, mythology, public speaking, and cinema. I simply continued doing many of my interests from KHS, but I didn't get to follow more of them then because I had a job after school each day. I moved out on my own at 18 and have supported myself ever since, aided, of course, by my wives. I attended our 20th reunion in '88 and have fond memories of it. I will not be attending our reunion this year due to travel plans and other commitments. I wish you all well and look forward to reading about the reunion from those attending. I thank all of you helping to organize and run this event, and I especially thank Debbie Outten for her continuing, outstanding service in maintaining this web site for us all. Deborah Anne Outten Fisk added a comment on her Profile. 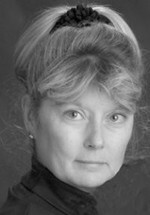 Deborah Anne Outten Fisk has left an In Memory comment for Edward R. Szetela. I am very sad to hear of Mr. Szetela's passing. Thank you Debbie for letting us know. I had not seen it in our obituaries. I will try to make the funeral on Friday. He was a grumpy old bear many of the times I saw him in the halls or in the office (I guess we did drive him crazy!! ), but he did have a good heart. He certainly brought to mind many good memories of my KHS days. I remember him tearing up in the gym, when our class president died unexpectedly, and he had to make the announcement to all of us. I will never forget that day. May you rest in peace Mr. Z....you will be missed by all of us who went to Kecoughtan. I am sorry to learn of the passing of our KHS principal, Mr. Edward R. Szetela, of Hampton, Va., on April 6 at age 91. His obituary appears in today's "Daily Press," April 9, 2015. Of my many memories of him, the most dramatic one is from Nov. 22, 1963, when his emotional voice came over the school P.A. to announce that President Kennedy had been shot in Dallas. He played a live radio feed so that all the school could learn the details as they unfolded and were reported. After JFK was pronounced dead, all the reporting paused for a moment for the playing of "Hail to the Chief." Mr. Szetela was later promoted to superintendent of Hampton Public Schools. Deborah Anne Outten Fisk added a comment on her Profile. New comment added. Penelope Stott Martin posted a message on Deborah Anne Outten's Profile. Debbie" Can you call me? 757 369-3569. A post on the web site concerns me. thanks. Debbie: Could you change the web page to reflect the correct year for the reunion? We do them every five years which means it will always be on the correc year for the class of 1965. It was too hard to remember. So NEXT reunion will be 2015 for both classes. Thanks. Penelope Stott Martin posted a message on Deborah Anne Outten's Profile. New comment added. Debbie: Evelyn Butler Morgan (1965) died a few days ago. Her obit is available on the Daily Press if you want to go grab it.